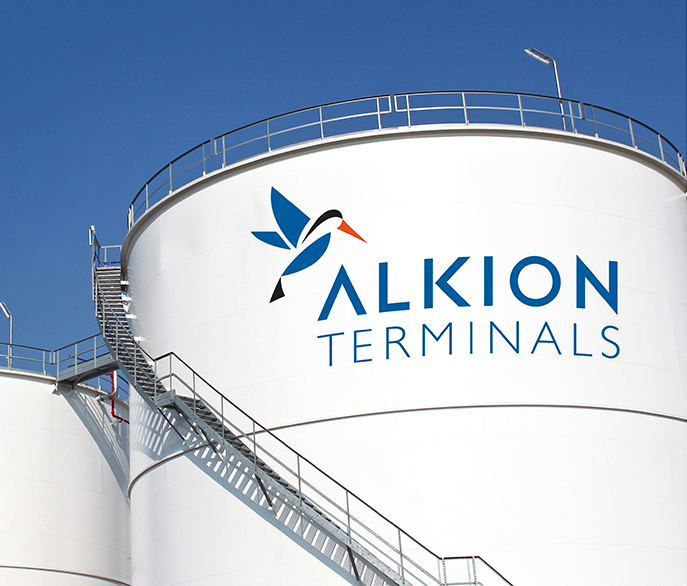 Alkion Terminal Sotrasol Le Havre is attractively located, at the entrance of the Le Havre harbor, on the north coast of France, next to the estuary of the Seine River, enabling easy access to the upstream located petrochemical complexes. Alkion Terminal Sotrasol Le Havre is ISO 9001:2008 and ISPS certified. All products with a flash point above 100°C, chemicals, mineral and vegetable oils, oil additives, molasses and high heat products. Filtering, dehydration, blending and drying. Dehydration of petroleum products with a capacity of 20m3/hr. 24/7 operation.